“Methylene Blue in Treatment of Cancer, Aging and Dementia” with Bernd Friedlander. Bernd Friedlander, D.C., has a Bachelors Degree in Physical Education with emphasis in applied kinesiology from San Francisco State University, and a Doctorate of Chiropractic Degree from the Los Angeles College of Chiropractic. 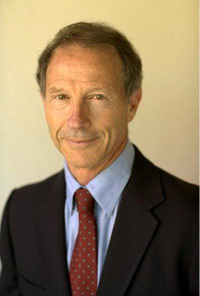 He has been involved in developing nutritional therapies since 1982. As result of his therapeutic formulas, he pioneered the research and use of nutrition and free form amino acids for improving athletic performance as a safe alternative to steroids. There is current research on the use of methylene blue in helping reverse cancer and Alzheimer’s Disease. Methylene blue is a compound that in the past was used as a dye for a number of different staining procedures. It was the first fully synthetic drug that was developed, and it was used in the treatment of urinary infections, malaria, and protozoal infections in fish tanks. It has been found to be useful in some cases of hypotension, hypoxia, septic shock, priapism, and methemoglobinemia. It also can neutralize the effects of heparin. Methylene blue combined with light has been used to treat MRSA1, resistant plaque psoriasis 2, AIDs related Kaposi’s sarcoma 3, West Nile Virus 4, and to inactivate staphylococcus aureus 5, HIV 6, hepatitis C 7 and other viruses. It may result in life extension by delaying senescence 8. Methicillin-resistant Staphylococcus aureus, a bacterium responsible for several difficult to treat infections (due to being resistant to many antibiotics). To read more, see the newsletter. Download transcript of this video. Steven William Fowkes is an organic chemist with broad knowledge of biochemistry, neurochemistry, nutrition, metabolism and nanotechnology. He is also a nutritional consultant, formulation consultant, author, editor, public speaker, inventor, and expert witness. 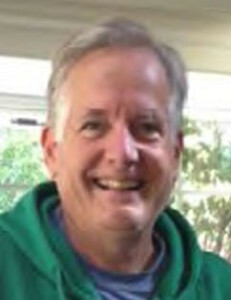 He is the moderator and blogger for Project Wellbeing (www.projectwellbeing.com), chief chemist of eCycle Systems, executive director of Cognitive enhancement Research Institute CERI) and Co-Founder and chief Science Officer of Nanopolymer Systems Corporation. He has numerous publications (the references can be sent upon request) and in the editor’s opinion is the most brilliant man she has encountered. The autonomic nervous system is not just a matter of a balance between the simple sympathetic and parasympathetic nervous systems of earlier life forms. Mammals have developed a second (myelinated) parasympathetic circuit that connects us to our emotions and perceptions. Understanding this revolutionary parasympathetic development can help us be more effective at cultivating health and happiness. To read more, see the newsletter.